The New Homes Department is a new and exciting venture for Brown & Co. A venture I am very proud to be heading, and a department that, although is in its infancy, is thriving. Admittedly, Brexit has been in everyone’s minds over the last few months, but new homes sales continue to be strong with local developers in many cases struggling to keep up with the volume of demand. Having worked in residential estate agency in Norfolk for 30 years, I believe that as a multi-disciplinary firm we offer unique expertise from start to finish of any development, whether it be a bespoke self-build or a large residential development. Incorporating our highly respected architectural division of Owen Bond and our experienced land and agricultural departments, we can provide expert advice and insight from the moment of land acquisition, through planning, right through to sale. A recent example being. 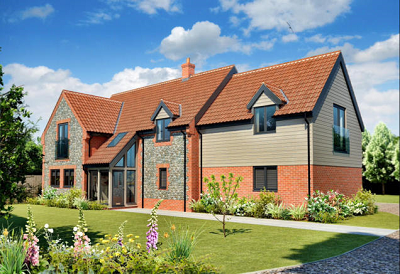 We have recently exchanged on two new build bungalows where we introduced the developer to the land, provided advice and subsequently achieved £80,000 above his expectation on eventual purchase price.